Pictured: Bar-tailed godwit in Ringsend. Photo by Kim Fischer. 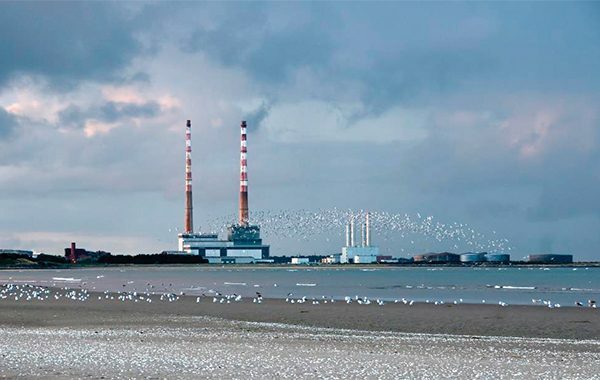 Dublin Bay is internationally recognised as an important place for waterbirds and waders, and is designated as a special Protective Area under the EU Birds Directive. Birdwatch Ireland have been involved in an ongoing project in the count of certain bird species such as the light-bellied brent goose, knot, black-tailed godwit and bar-tailed godwit, along with monitoring the populations of local oystercatchers, sanderlings, common tern and Arctic tern. 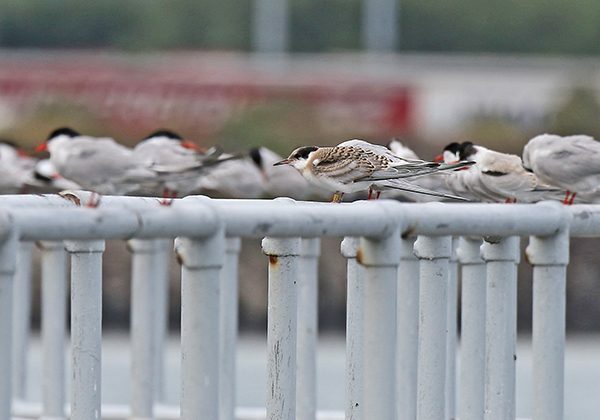 The primary aim of the project is to gather the fundamental information on how and why such waterbirds use the Dublin port area and Dublin bay for roosting and foraging. 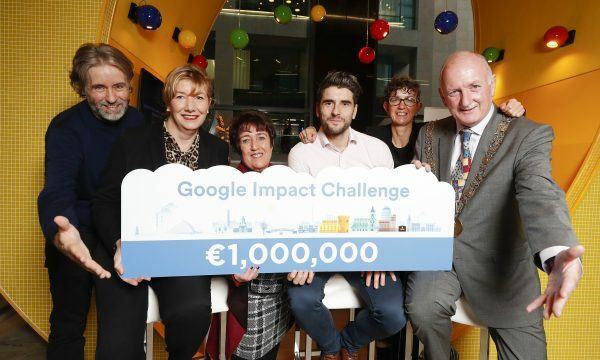 This is a three-year programme which commenced back in February 2013 with support and funding by the Dublin Port Company. Birdwatch Ireland conservation officer, Niall Tierney, spoke to NewsFour on the importance of the project and his own personal feelings and concerns with its ongoing work. Wading birds are tracked and tagged for a greater knowledge in the migratory path these species effectively take each year. Pictured: Juvenile common tern in Poolbeg. Photo by John Fox. Over 2,000 birds from ten species have been ringed using what is known as cannon net catches. Birds tagged and tracked have travelled to such destinations as the Faroe Islands, Norway, Scotland and the Arctic Circle. Birdwatch Ireland’s work with the common and Arctic tern species is ongoing. Recently, the pontoon located on Dublin’s South Dock was removed and relocated. Pictured: Tern roost at Sandymount Strand. Photo by John Fox. The Arctic tern breeds around the Arctic Ocean, travelling about 80,000 kilometres in one year, which is approximately the distance of going to the moon and back! 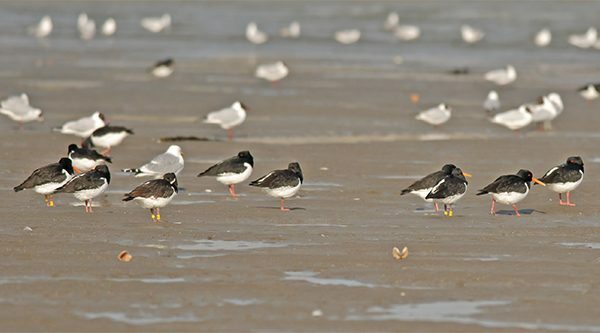 Up to ten thousand terns, including the common tern, the Arctic tern and even a few black tern coming from Holland, have been counted at specific sites on Sandymount Strand during the Summer months! 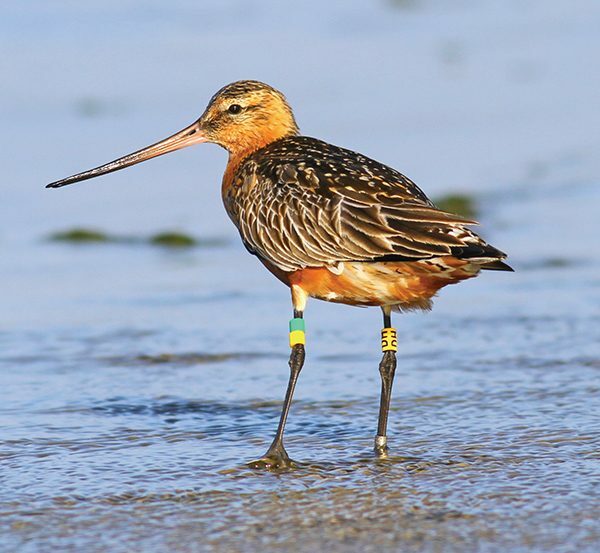 A total of 14 oystercatchers, four bar-tailed godwits and three redshanks were fitted with radio transmitters in November 2014 for radio-tracking and research. Photos supplied by Birdwatch Ireland. 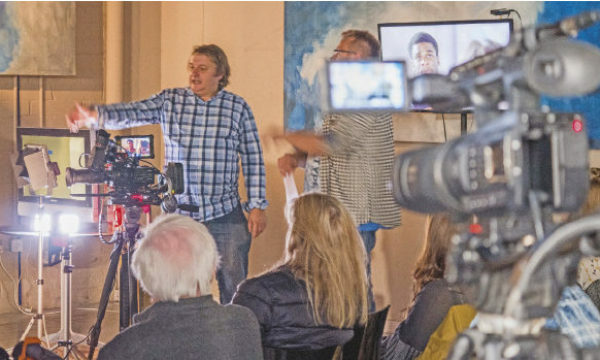 Birdwatch Ireland hope to continue their Dublin Bay project in the years ahead with the support of the community and the Dublin Port Company. 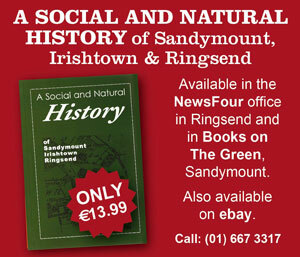 Amateur birdwatchers have contributed to this project by supplying Birdwatch Ireland with the necessary sightings of these ringed birds that the project needs for its records. This is project will assesses the relationship between human activity and development and that of the natural world around us. It is a project about preservation and also one about discovering new facts about birds and their finely-tuned habits of living!